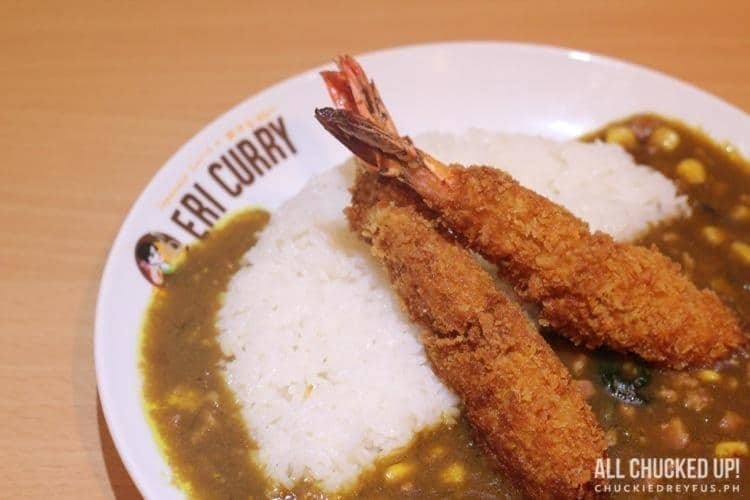 Eri Curry - Every curry lover's happy place! - All Chucked Up! 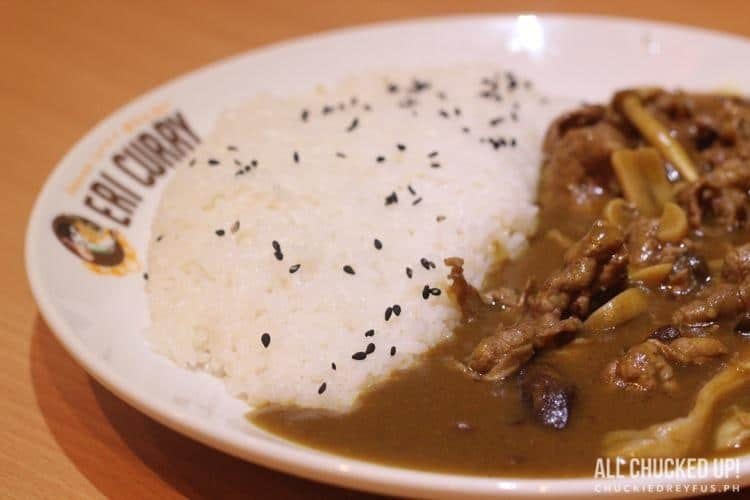 You are Here >> Home >> Featured >> Eri Curry – Every curry lover’s happy place! When ordering, you are presented with a number of options that Eri Curry’s menu will guide you with by way of an easy to understand step-by-step diagram. Pick the amount of rice that’ll go with your meal. Choose a secondary viand that you think best compliments your first one. Determine the overall spiciness level of your selected dish. That’s it! All you have to do after that is to wait a short while until your order arrives. Did that video stir up your appetite? Here are a few Eri Curry dishes we tried during our visit which you might enjoy yourselves. Fried Shrimp? Corn? Bacon? 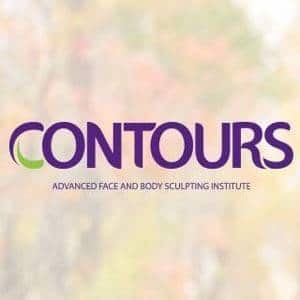 I’m sold! I love how the crunchiness of the shrimp’s batter compliments the generous curry sauce. And it’s got BACON! Yum! 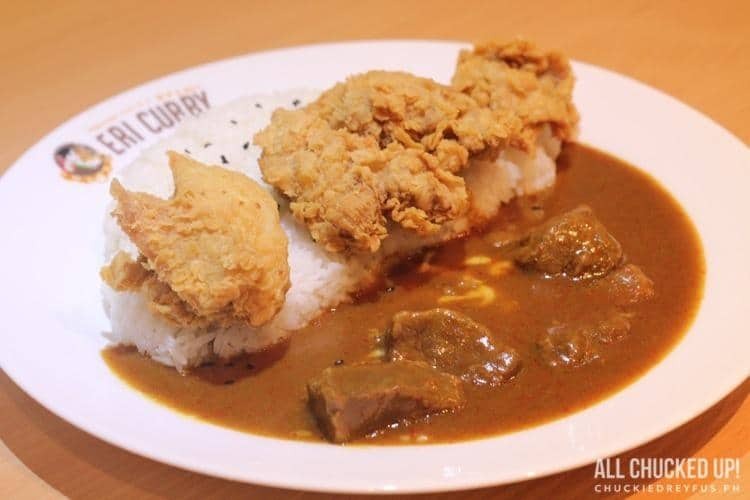 Chunky beef smothered in flavorful curry sauce and complimented with very crunchy chicken karaage. Very good, in my opinion. I loved this dish a whole lot. Another Eri Curry specialty worth trying. Quail eggs make for great flavor neutralizers especially when you get a tad overwhelmed by the curry. Hey… it’s got bacon! That’s should be enough to get your mouth watering. Haha! Perfect for people with really big appetites. Looking to go all out and satisfy that gigantic hunger of yours? This Eri Curry offering will not disappoint. It is advised to eat your meal as soon as it arrives and while it’s still hot. Nothing beats a steaming hot curry dish. Oh, wow! This is sure to be a hit with kids because of its colorfulness. And it tastes wonderful, too! A few days after our first visit, my wife and I decided to take our entire family to Eri Curry again. Sure enough, our kids fell in love with their dishes just as much as we did the first time we tasted ours. Even my dad who usually isn’t too keen on curry food enjoyed it a whole lot. 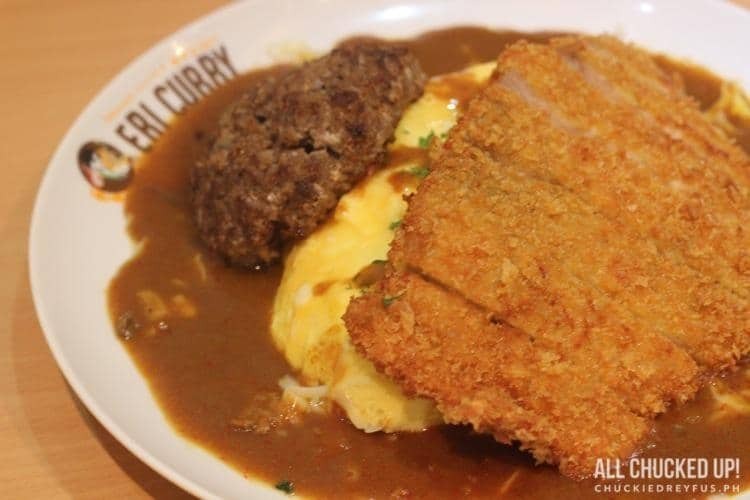 Japanese curry actually originated from India, but it was the British who introduced it to Japan in the late 19th century, during Britain’s colonization of India. 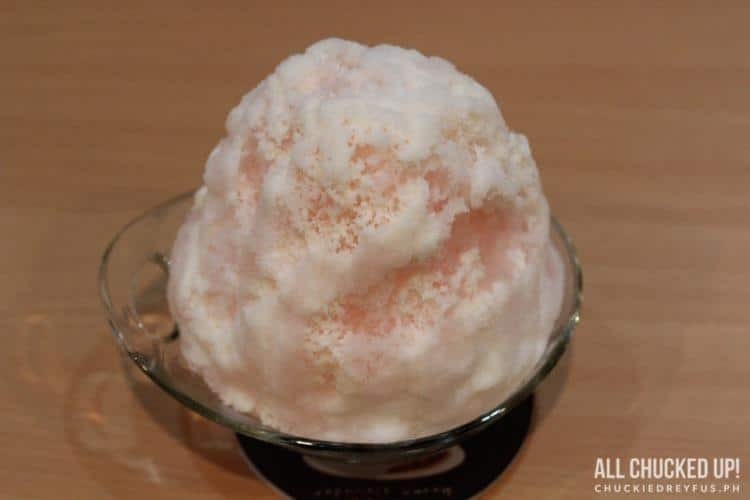 The Japanese reinvented the curry sauce to suit their taste, adding fruits to their stock to have a sweeter and milder flavor. 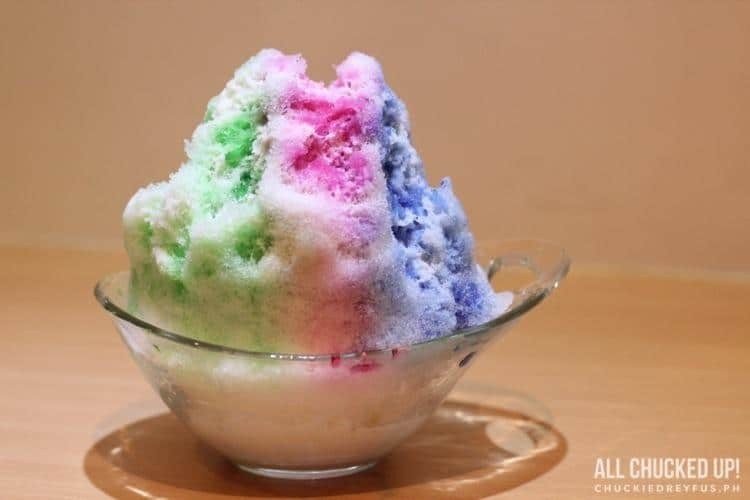 Today, it is one of the most commonly served dish in every Japanese household and might as well be considered as one of the country’s national dishes. So, there you have it, folks! 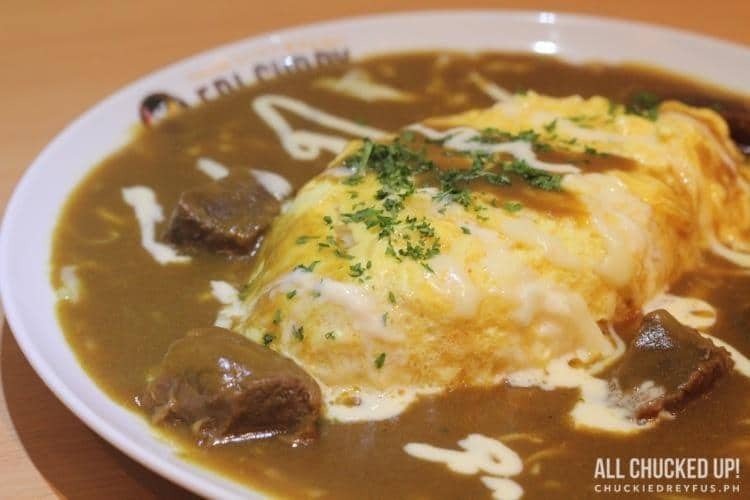 Curry lovers and those who love to try out new food establishments should head on over to Eri Curry and fall in love with what they have to offer. 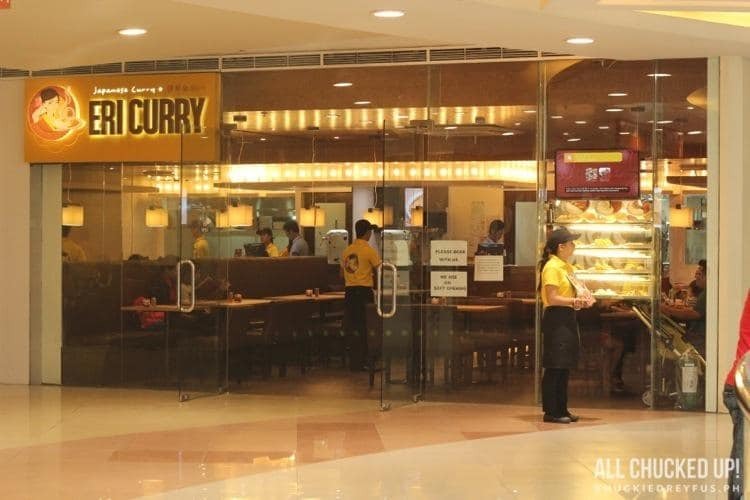 Finally, curry has a place to call home where its wonderful and awesome flavor can be celebrated over and over again.